Released in 1952, John Ford’s The Quiet Man is regarded as a classic Irish-American romantic comedy / drama. Starring John Wayne, Maureen O’Hara (and assorted members of their RL families!) and Barry Fitzgerald, it is a popular choice among critics and film-lovers. The screenplay for the film was drawn in a large part from a short story of the same name originally published in 1933 in the Saturday Evening Post, and penned by Irish author, Maurice Welsh. 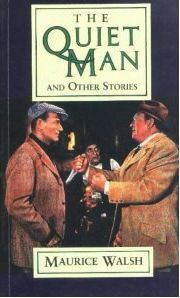 Together with a number of other short stories by Walsh, The Quiet Man was gathered into a single volume of his short stories, The Quiet Man and Other Stories, which dealt with many recurring characters living in rural Ireland of the 1920s, and set against the backdrop of the civil unrest which affected the country at that time, while examining the complexities and occasional intrigues of life, love and Irish traditions. Join Caledonia Skytower as she reads Walsh’s original tale of The Quiet Man, Paddy Bawn Enright to Mark St. Patrick’s Day. 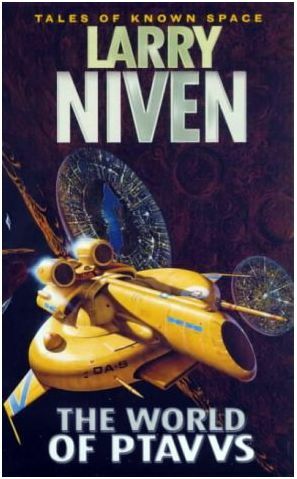 Gyro Muggins returns to Larry Niven’s Known Universe to read the first novel Niven ever set within it – given it was actually he first full-length novel. Within it, he lays many of the seeds, human and alien that would come to define that universe, its characteristics, traits and races. A reflective statue is found at the bottom of one of Earth’s oceans, having lain there for 1.5 billion years. Humanity’s experiments with time manipulation lead to the conclusion the “statue” is actually an alien caught within a “time slowing” field. Larry Greenberg, a telepath with highly developed and honed abilities is asked to participate in an attempt to make contact with the alien. This involves Greenberg and the “statue” being places within a single time slowing field, the effect of which is to nullify the one shrouding the alien. The the new field in operation, Greenberg finds himself in the company of Kzanol, a member of a race called the Thrint. Powerfully telepathic, the Thrint once rules the galaxy pure through their mental powers and the ability to bend the minds of others to their own will. However, in the time that Kzanol has been trapped the result of a malfunction aboard his ship which forced him to abandon it and fall to Earth protected by the stasis field of his space suit, the Thrint were facing a revolt by all the races they had enslaved. Caledonia Skytower reads one of her original Irish tales from her first publication, A Trio of Irish Tales. With Shandon Loring. (Also in Kitely grid.kitely.com:8002:SEANCHAI).